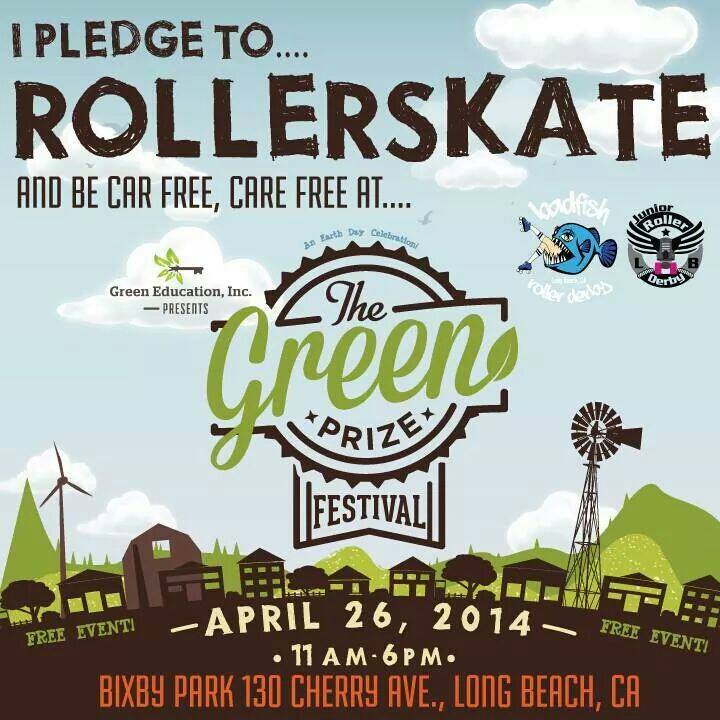 Badfish Roller Derby will have a booth at The Green Prize Festival in Long Beach, CA this Saturday! In celebration of Earth Day, Green Education Inc., in collaboration with Leadership Long Beach, and Green Long Beach! are kicking off the first annual Green Prize Festival on Saturday, April 26, 2014. The Green Prize Festival is a one-day event highlighting urban farmers, green chefs, live entertainment, artists, green technology, sustainable transportation, environmental organizations as well as education through workshops, demonstrations and guest speakers. The event will also feature the Localism FREE bike valet, the Kress Market & Deli Beer Garden of Earthly Delights, green vendors and food trucks as well as children’s activities. We’re also pleased to introduce the Green Prize annual award program! Located in Long Beach, CA at Bixby Park at cross-streets Ocean & Cherry. Bike Valet will be available and parking will be residential.